It’s unclear if New York’s new assault weapons ban applies to prop guns, but on Wednesday, Governor Cuomo said he wants to update the law to state that movie and TV productions filming in New York are exempt. 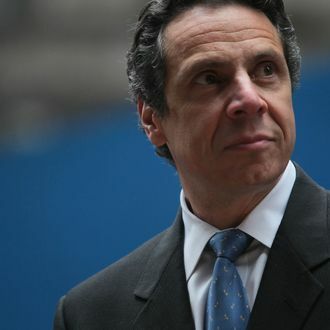 “People want certainty and there’s no reason not to make a change like that and give an industry comfort,” Cuomo said, adding, “People spend a lot of money in the state bringing movie production here, post-production here. So obviously we would want to facilitate that.” Everyone involved with Law & Order: SVU can breathe a little easier.